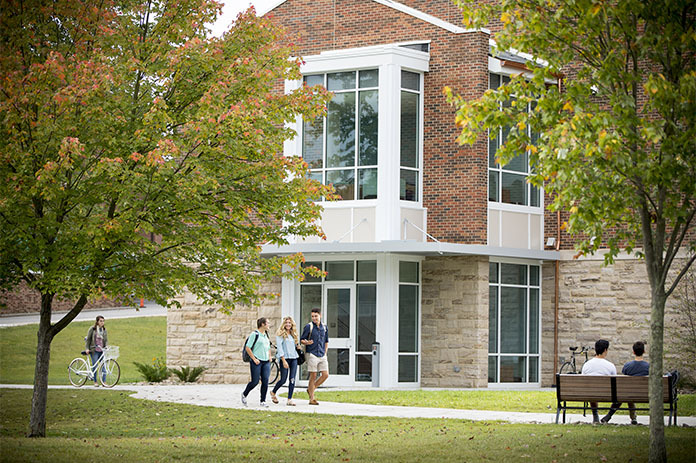 Kepple Hall is Juniata's home for integrated media and studio arts. It houses numerous 2D and 3D studios for traditional and digital media, including a photos studio, two digital studios with new Apple iMacs and large format Epson printers, a 3D fabrication studio, and painting and drawing studios. From digital art, graphic design, and video productive to painting, drawing, and sculpting, the facility is the first building on campus where students creating many forms of art can collaborate and view each other's work on a daily basis. 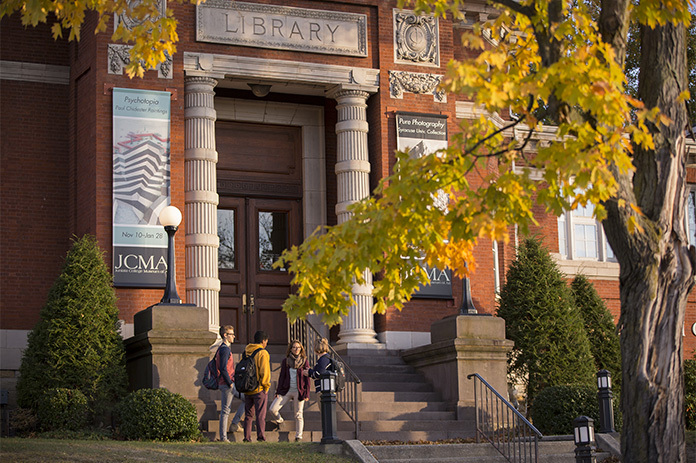 Carnegie Hall, a Beaux-Arts structure built in 1907 as the college library, now houses the Juniata College Museum of Art as well as a number of studio facilities for visual arts classes. Edwin A. and Susan Rabinowitz Malloy Gallery houses a display of works from the museum's permanent collection, including works from the Hudson River School, American portrait miniatures and Old Master paintings and prints. Henry and Mabelle Shoemaker Gallery hosts four temporary exhibitions each year, including a spring show of works produced by students in the studio courses. 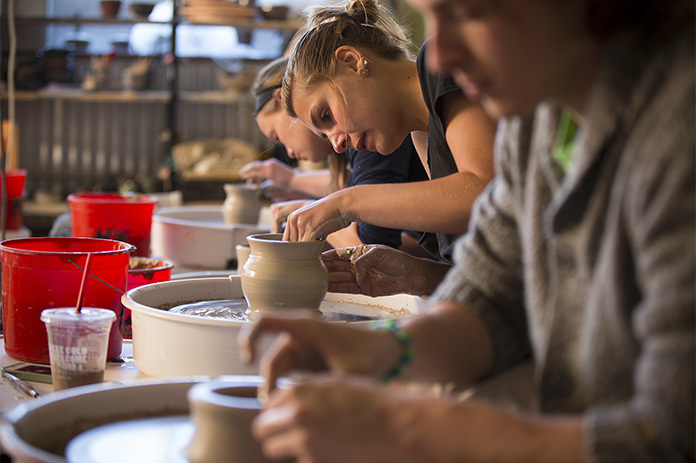 Juniata's Ceramics Studio, available 24 hours a day, 7 days a week, has: 6 kick wheels, 11 electric wheels, a slab roller, and all the necessary clay and glaze mixing equipment. Our kilns include: 1 gas kiln, 2 electric kilns, 1 test-size electric kiln, 1 soda kiln, and an anagama kiln. The Anagama kiln is one of 3 in Pennsylvania. It is a wood fire kiln, meaning that all of the heat comes from wood not gas or electricity. Also, the glaze is created by melting ash due to an ultimate temperature of over 1200 degrees. The ceramic students at Juniata fire it off about once a semester. The process requires the students to fire it for 5 days straight, with students taking 3 hour shifts so that it is manned 24 hours a day. For those who love clay, there is no other experience like it in the world. The Peace Chapel is a landscape architectural site designed in 1988 by architect Maya Lin. It is located on the 315-acre Baker-Henry Nature preserve and provides a contemplative setting within the rolling hills of Huntingdon County. Art History classrooms with tiered seats, dimmable lights, slide projectors, and an overhead projector/computer for digital presentations are housed in Good Hall.